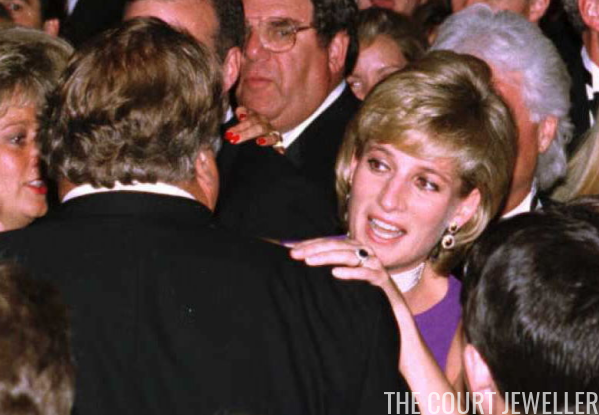 Our celebration of the bejeweled life of Diana, Princess of Wales continues today with a look at jewels worn during one of her favorite activities: dancing. Enjoy these moving images, with the two usual caveats -- some of the GIFs may include flash photography, and no rehashing old arguments about the late princess's life in the comments! 1985: I can't show you footage of Diana's famous dance with John Travolta at the White House, but I can show you other moments from the same dinner!